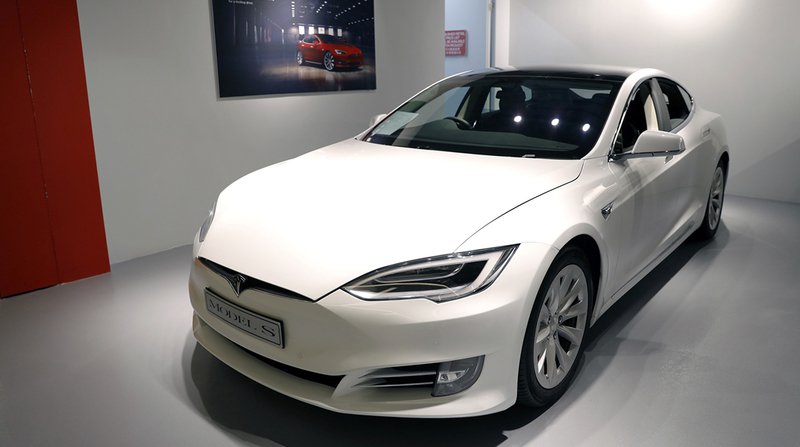 Tesla Inc. reduced the amount of hours it is producing Model S sedans and Model X crossovers, adding to concerns about demand for the electric-car maker’s higher-priced and more profitable vehicles. Shares dropped on the news. CEO Elon Musk announced earlier this month that Tesla would stop accepting orders for the 75 kilowatt-hour version of the Model S or Model X starting Jan. 14. At that time, there was at least a $15,000 difference between the 75D and 100D versions for the two models. The dialing back follows Musk’s announcement last week that Tesla would cut 7% of its workforce. The CEO said the dismissals are necessary because the company still makes vehicles that are too expensive for most people, and its profitability will come under pressure as deliveries of lower-priced Model 3 sedans ramp up. Tesla shares dropped as much as 5.8% to $281.69 as of 1:25 p.m. Jan. 23 in New York trading. The stock is trading at the lowest intraday since Oct. 23. Earlier this month, Tesla cut prices on all models by $2,000 to partially offset a reduction in the federal tax credit for its vehicles. Starting Jan. 1, the U.S. incentive dropped by half to $3,750, and it will drop to $1,875 from July 1 through the end of the year.